(12*12")15pcs per polybag,20 packs per carton. size:33cm*33cm*25cm or based on customers' requirements. L/C, T/T, Western Union, MoneyGram,PayPal. 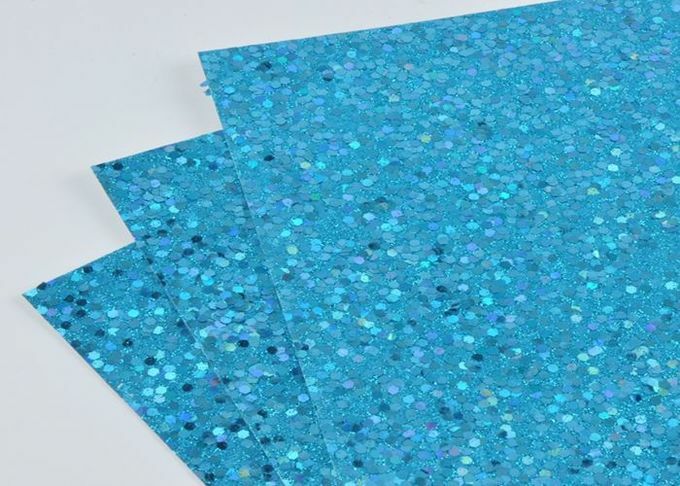 We are special Glitter material supplier for glitter wallpaper, glitter paper ,PU glitter leather since 2005 year; the glitter paper can be used as shiny paper crafts,bright crfat decoration for cup and clock, scrapbook glitter paper,festival invitation card,for eyes mask for home,KTV and salon decoration wallpaper.The glitter leather can be used as handbag,women case,high heel shoes,wedding shoes,glitter pumps shoes,playground equipment,bookcover,wallpaper decoration and so on ,more and more customers use our glitter products . 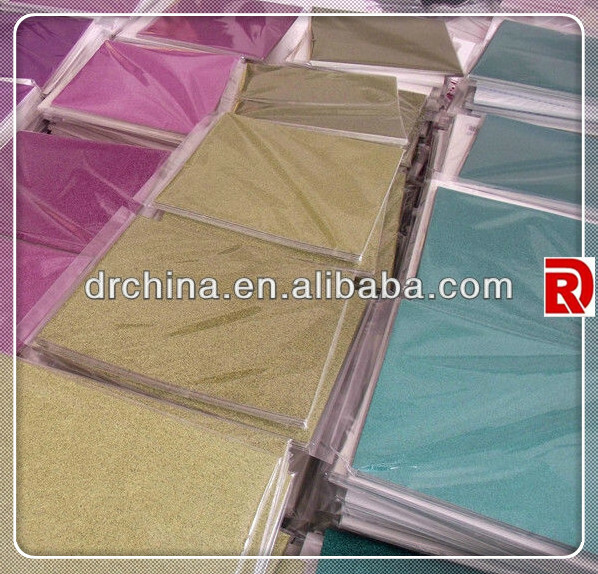 Glitter Paper Packing: 15pcs per poly bag,20packs per carton. size:33cm*33cm*25cm or based on customers' requirements. Material 150g,200g,250g,275g,300g,350g white paperboard with glitter . Color Any color or customized by your samples. Size A4,12*12",8.5*11",50*70cm or based on your requirement. 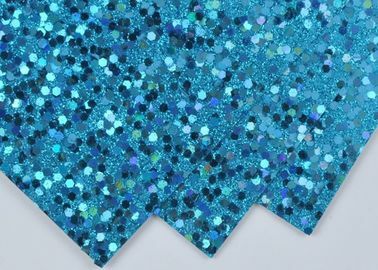 Glitter size 1/128,1/96,1/64 with 1/32,1/24 mix 1/8" or other sizes. Package (12*12")15pcs per polybag,20 packs per carton. size:33cm*33cm*25cm or based on customers' requirements. Delivery time 7 to 30 days after received the deposit. A:Our factory is located dongyang city , which is not far away from Yiwu.All our clients, from home or abroad, are warmly welcome to visit us! A:Quality is priority. DERUN people always attach great importance to quality controlling from the very beginning to the very end. A: We do not promise you that we offer the lowest price on the market, but our cost-effective is best. A:We can provide free sample cards, sample more than 0.5 meter will be charged.And customers need to pay the freight. Party Card Paperboard Chunky Glitter Paper Children ' S Handmade Size 12*12 "